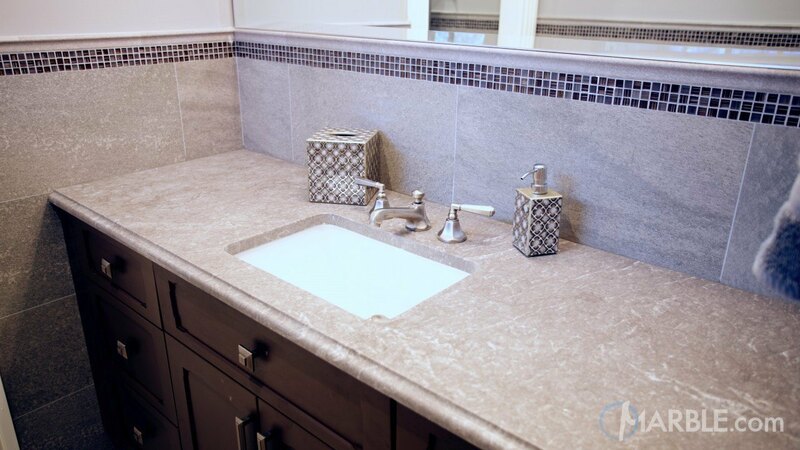 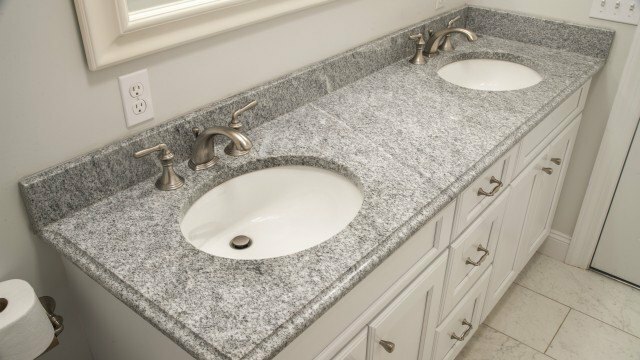 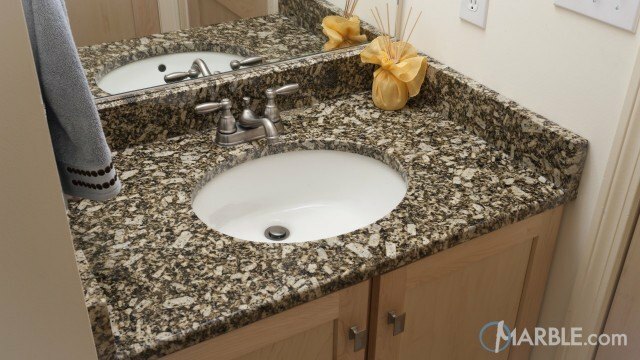 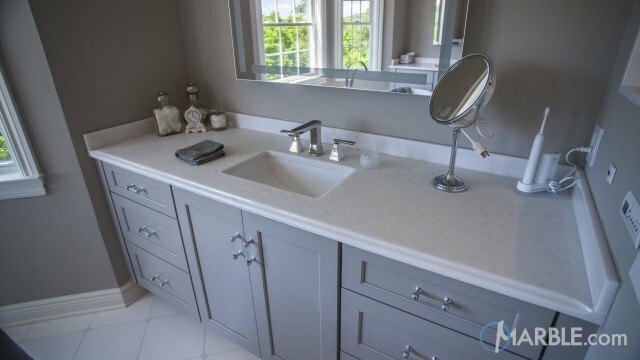 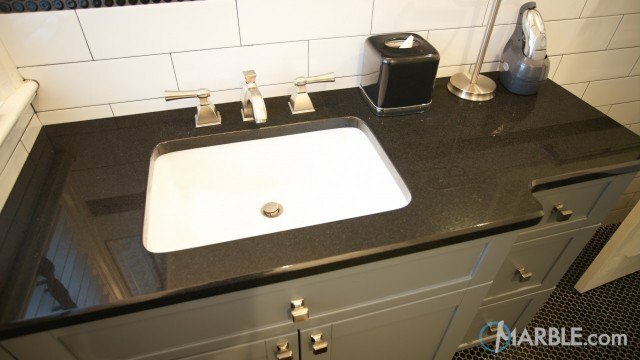 Grey tiled floors form the perfect combination for the Corsica Grey granite vanity top with an Ogee Edge. 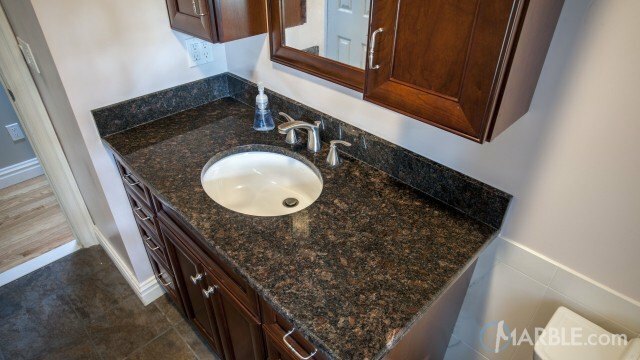 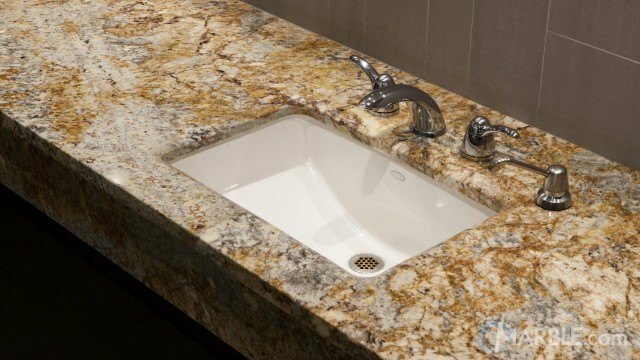 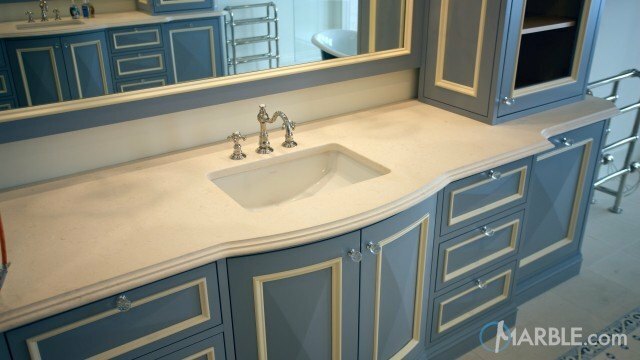 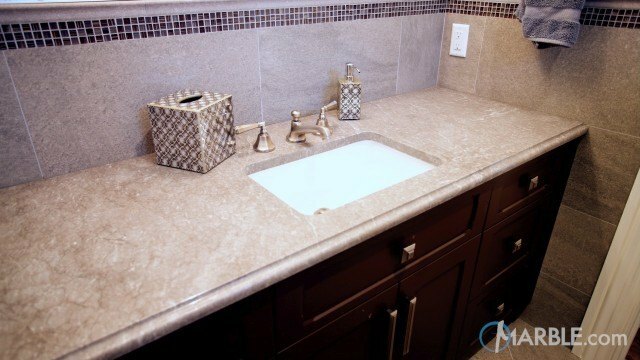 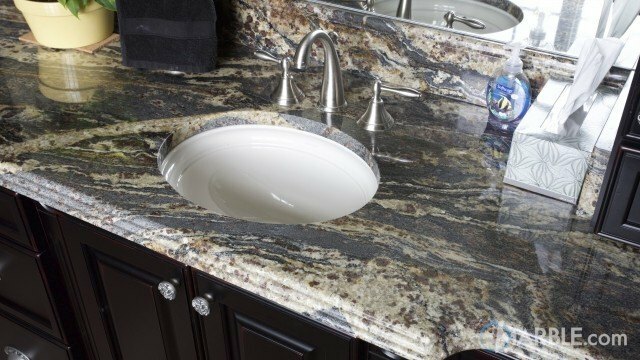 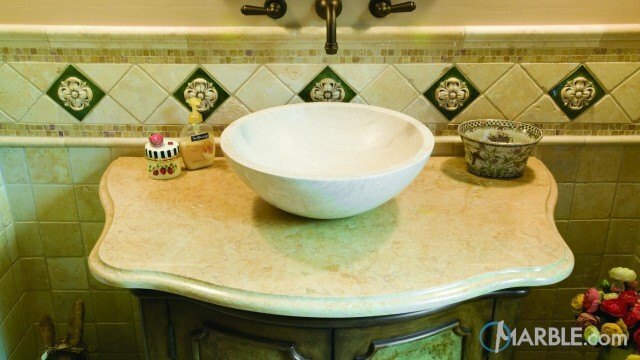 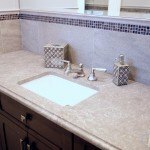 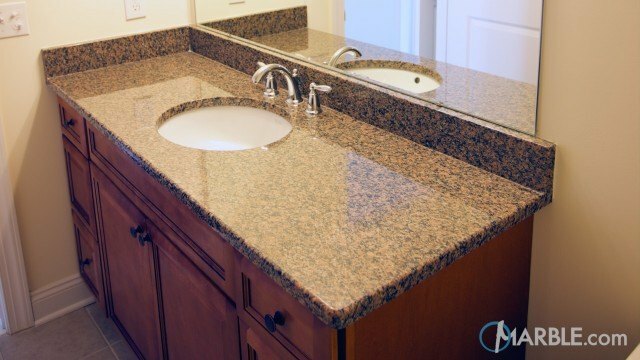 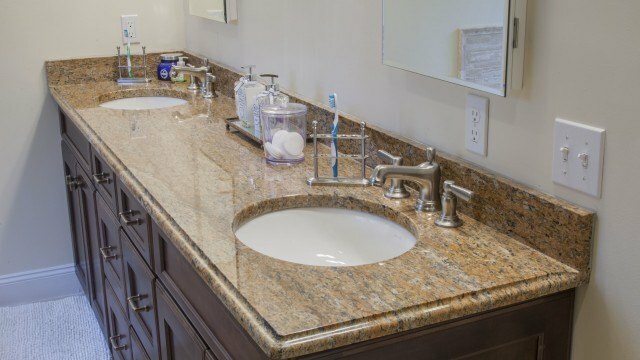 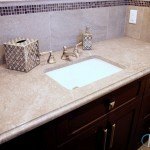 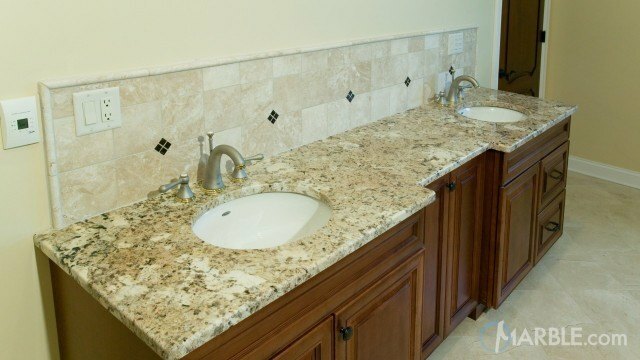 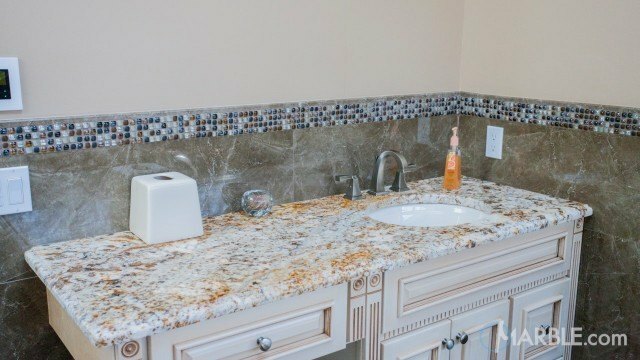 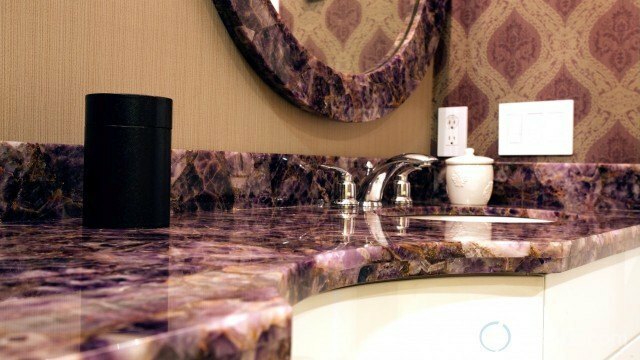 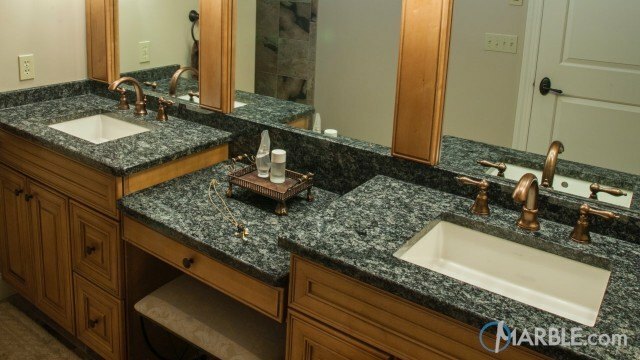 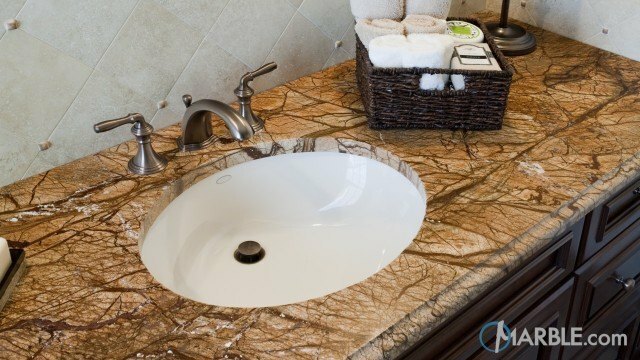 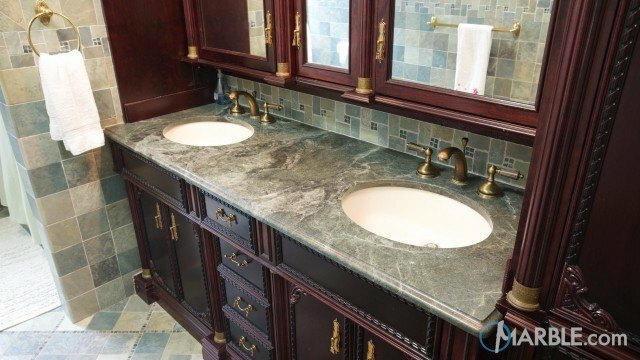 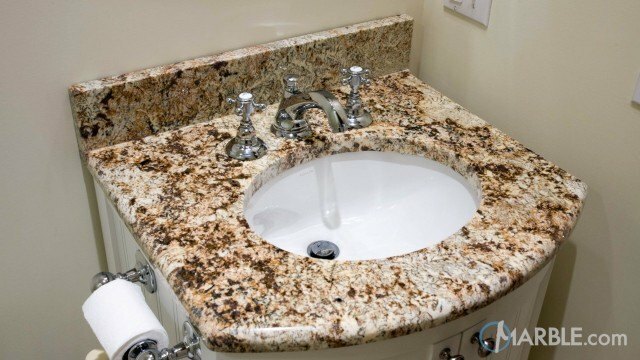 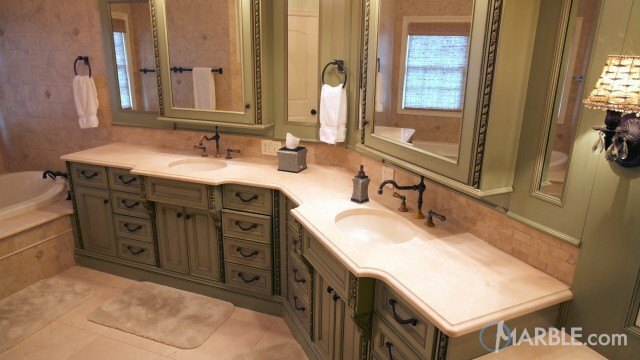 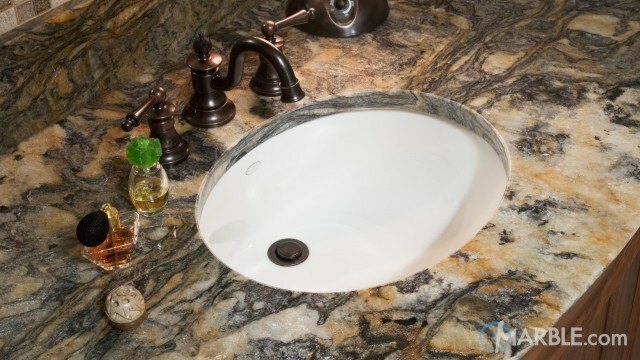 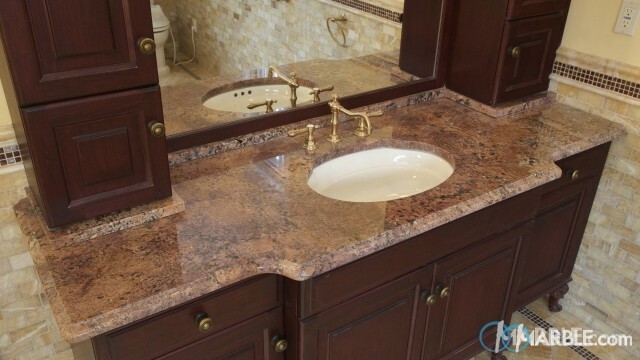 The wall reflects the colors in the granite and simple cabinetry sets off the entire bath. 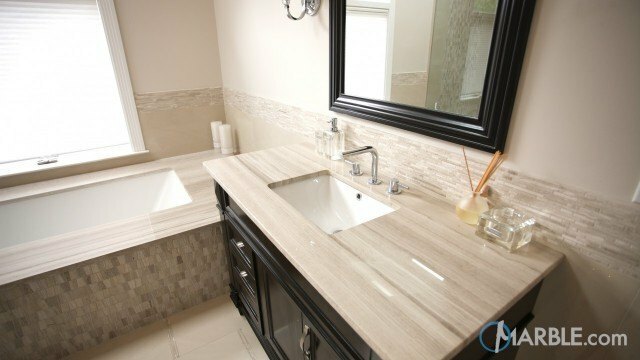 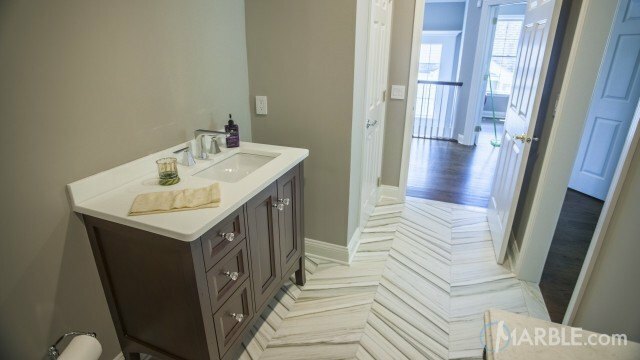 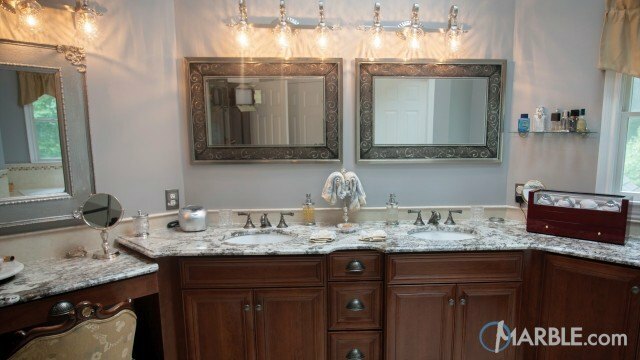 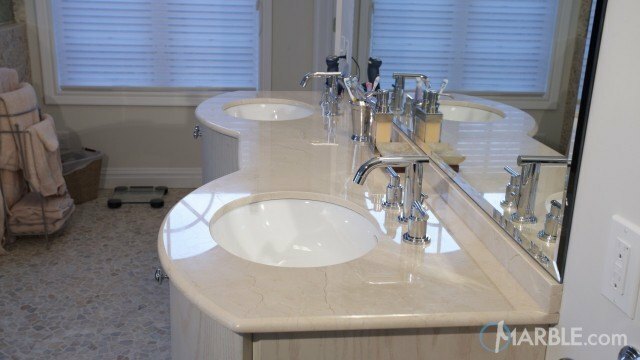 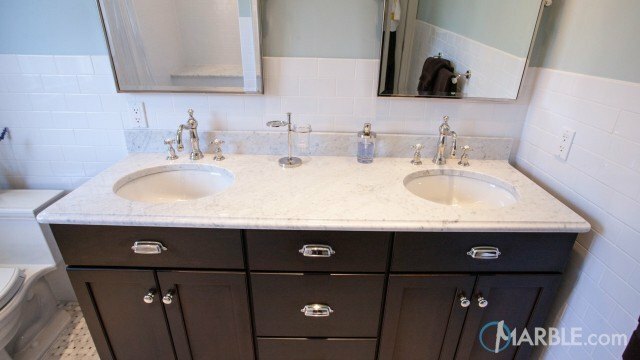 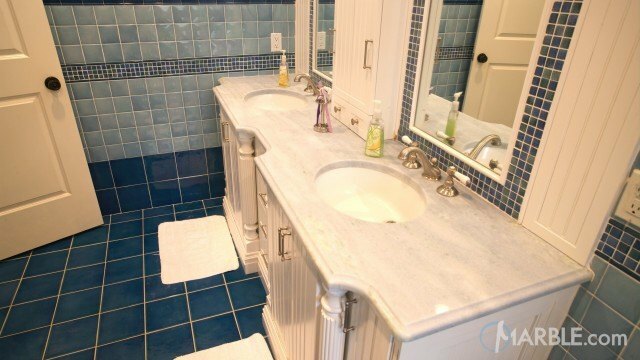 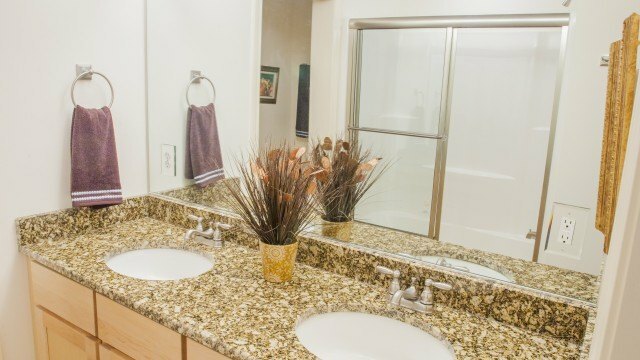 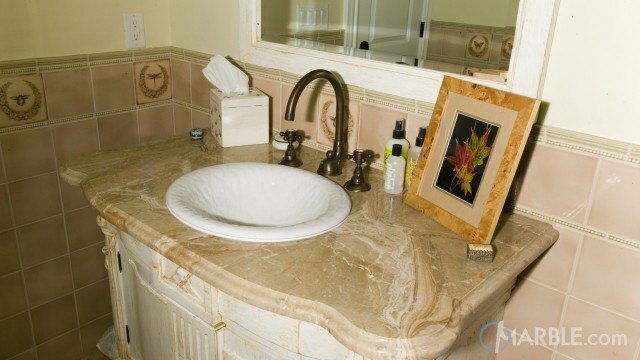 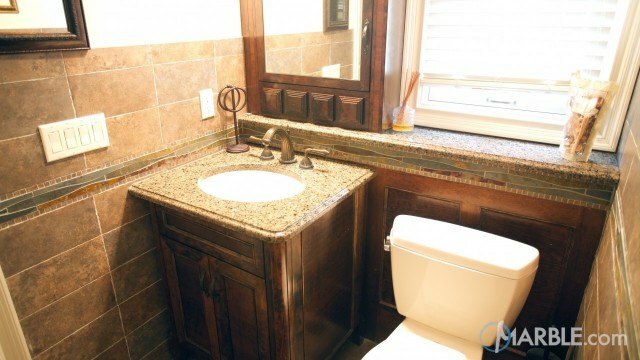 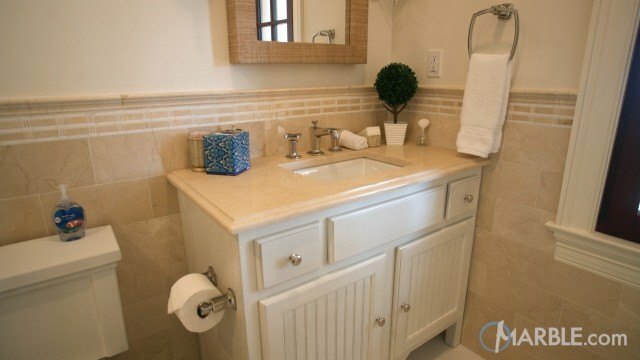 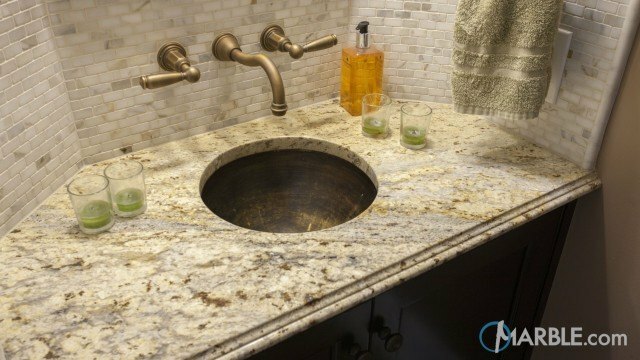 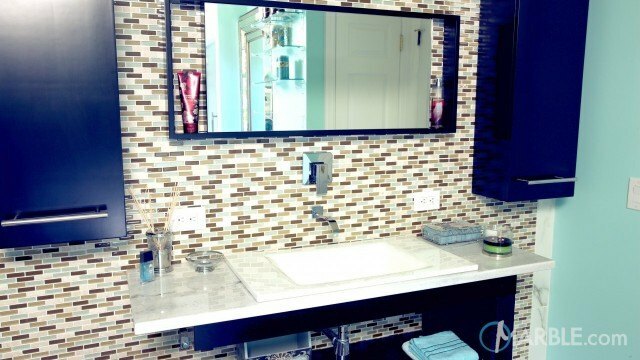 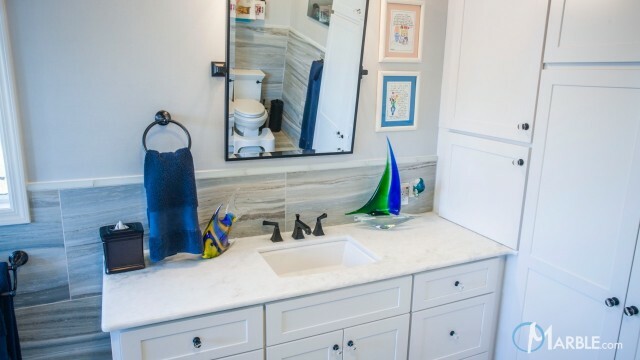 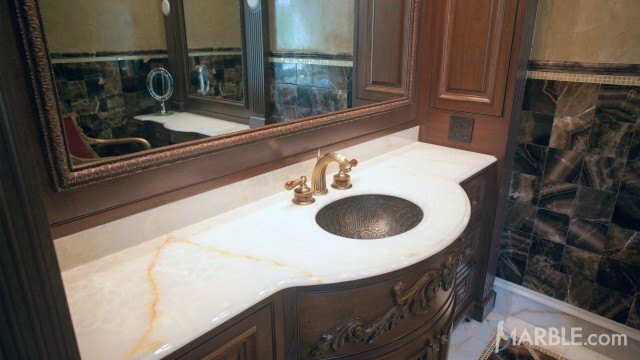 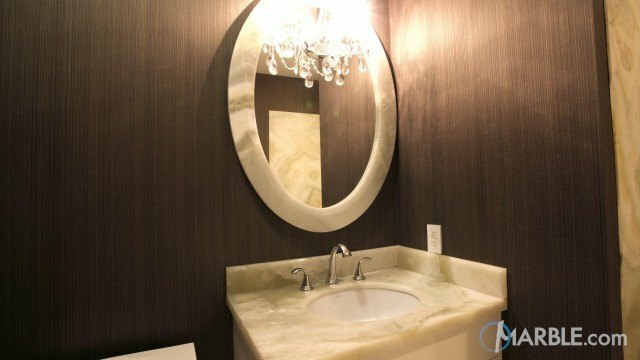 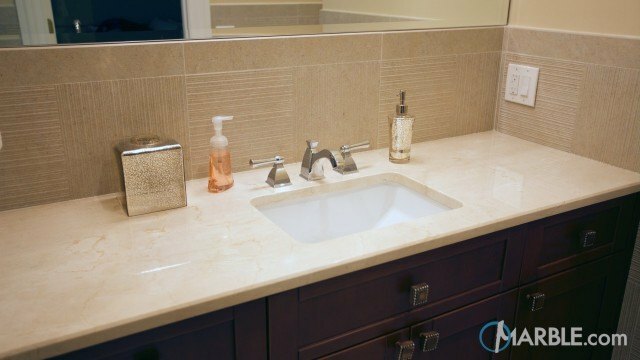 The addition of the simple fixtures bring a touch of class to this bathroom.